Australia is a damn big country. 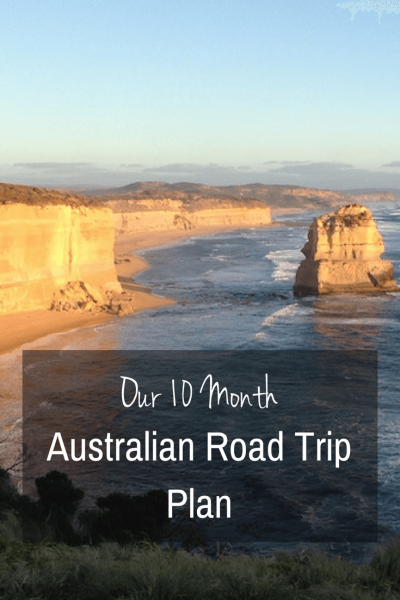 I think that’s an obvious statement, but when trying to plan a ten-month road trip to explore the nooks and crannies, ten months seems like a speck of time. There is much to see! Not that we expect to see it all, of course. When travelling Australia, many people tend to drive the circumference of the continent. ‘The Big Lap’ it’s called. Yes, it’s an actual term here. We decided against doing that. We’re bucking form by NOT doing ‘The Big Lap’ and I love that. We depart from Sydney at the beginning of March 2017. We’ve been based in Sydney for the last four years and truth be known, we won’t be sad to leave. We’ve explored the places we have wanted to here. It’s a great place to visit but we haven’t enjoyed living here. I think we’re realizing that we are more ‘country’ minded. Our intent is to travel slowly, immersing ourselves in the places we explore. If a place looks interesting, we’ll stop and spend as much time as we can there. And yet, our initial itinerary certainly won’t seem like we’re travelling slowly. We have some events happening in the beginning months of our travels that we’re planning around: Our ten-year wedding anniversary; promises to Natalie that we will stay ‘within shouting distance’ for a little while as she continues to settle at Uni; her 18th birthday. Planning has been full on, to kick it off in a BIG way. A weekend in Canberra. Time to see our girl before we headed off (and took those ‘oh, but I really wish I’d brought that with me’ items to her, as homesickness kicked in.) We’ve learned a lot about Canberra from our recent visits, which you can read about here. One week of beach camping on the Eurobodalla and Sapphire Coasts (N.S.W South Coast down to the Victorian border) – you can read about that amazing adventure here. We spent ten days in Cairns, exploring the Great Barrier Reef and Daintree Rainforest for our anniversary. We have multiple posts about that adventure, but start with this post and then this post. We finished the month housesitting in the N.S.W. Southern Highlands. We have a post coming, but you can read about the Travel Journal experience here. April – posts to come. We continued our Housesitting in the N.S.W. Southern Highlands. We spent Easter with Natalie, staying in a converted church the N.S.W. Snowy Mountains. One week camping in the N.S.W. Highlands (Snowy Mountains area) in a 60 year old heritage cabin. 10 days housesitting in the Gippsland area in Victoria. After housesitting in the Gippsland area at the beginning of the month, we will be heading back to Canberra for Natalie’s birthday, returning to Canberra via the Victorian Highlands. The rest of May is still open at this point. We will finish the month in the Bellarine Area in Victoria where we will begin a two month housesit. Housesitting in the Bellarine in Victoria. We’ll be staying on a 5-acre property and pet sitting 3 dogs, 10 goats, and 20 chickens. We can’t wait! With two months to explore the area, we want to see as much of the area as possible. Of course, housesitting responsibilities come first. Honestly, it will be good to catch our breath and plan for our next phase, get some writing done… and spend time taking the dogs on long walks. Go west, young son! We head west via Adelaide in South Australia with the destination of Western Australia in mind. At this point we’re not sure which way we will go. We’ll most likely drive up through the Northeast part of Victoria, staying on the Murray River to capture some beautiful photos. We’ll head down to Esperance and Albany, then northwest to Bunbury, the Margaret River, Perth and maybe a little more north. Our plans are very flexible at this point, as we are looking for house sitting opportunities along the way. Sometime in October we will head back to the eastern part of Australia before we take the ferry down to Tasmania to explore the island for a couple of months. We have a one week housesit scheduled for the first part of November. We’ll finish the year with Natalie and my sister for Christmas and New Year in an Airbnb somewhere in Hobart. We’re intent on watching the Boxing Day Sydney – Hobart Yacht Race from the finish line perspective. It will be our last stop in Australia before we head overseas. We hope you’ll stay tuned for more from the road. Better yet, join our community for the inside track! Join our community (below) and we’ll send you weekly updates of where we are, where we’re headed and links to all of our latest posts… All delivered to your email inbox. 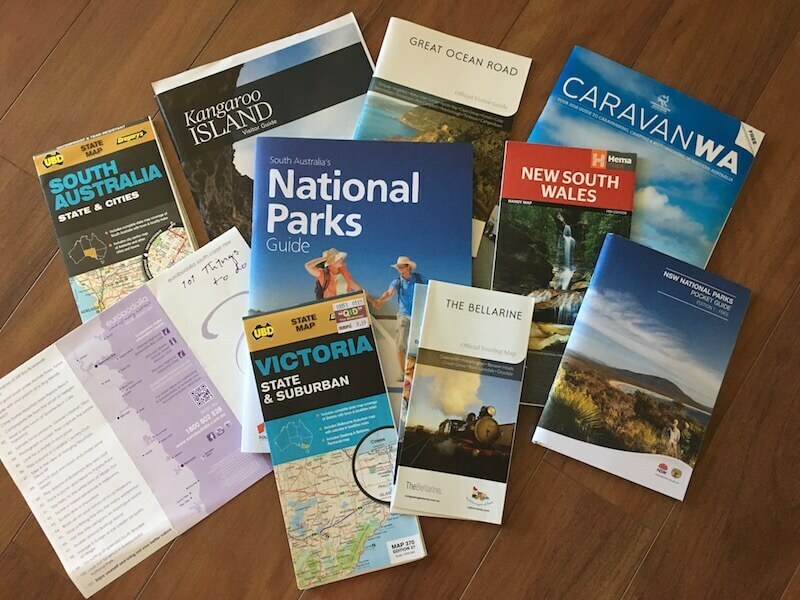 Discovering Australia: Planes, Trains or Automobiles? I agree. It is such a great way to see the country and keep the costs down! And get your fix with fur babies, without the full responsibility of having them yourself.